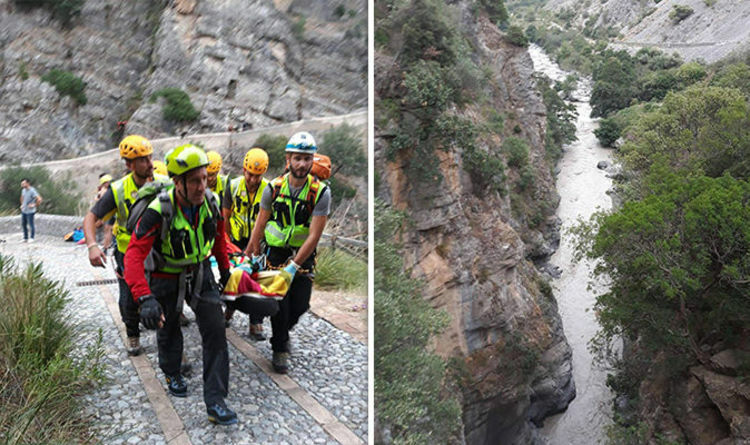 At least 11 hikers have been killed and others are missing after flash flooding in southern Italy. They were walking in a gorge in a National Park in the Calabria region when they were hit by a torrent swollen by heavy rain. Eighteen others were rescued, including a 10-year-old boy; the Regional Head of Civil Protection told Italian TV six people have been taken to hospital. Local officials say the exact number of those unaccounted for is unclear. Spotlights were brought in as the search in the Pollino National Park carried on through the night.